While I really like the idea of the Moto-Saw, I feel that the current specs limit its abilities. 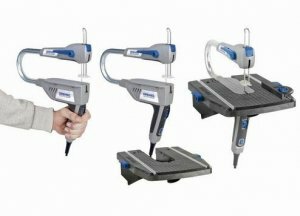 It has a maximum material thickness capacity rating of only a little more than 5/8-inch (18mm) and a stroke of only about 5/16-inch (8mm). So you really have very little saw blade to use, and I imagine it will be used up quickly at 1,500 to 2,250 strokes per minute. 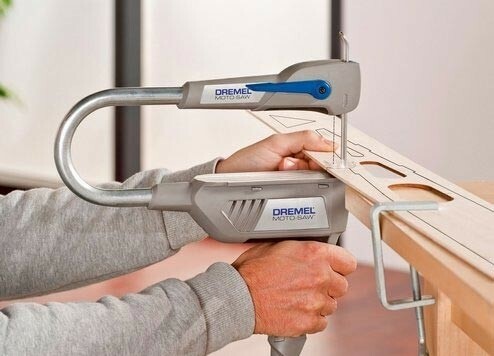 If those numbers are there just to cover Dremel's behind and the tool can actually handle thicker wood, it might make a good coping saw for miters. It can at least handle thicker MDF trim. 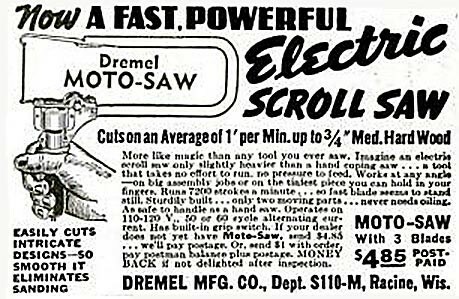 I don't know the actual capacity of the old 40's model, but it was advertised as being able to cut 3/4" medium hard wood at a rate of 1-inch per minute. 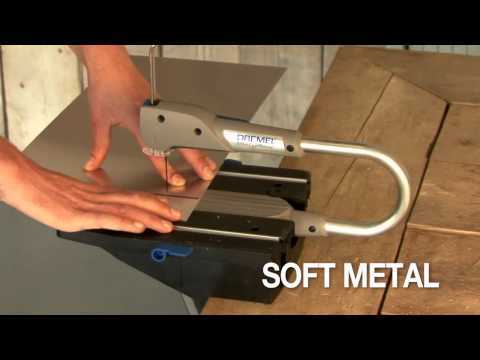 The New Moto-Saw will be available soon in Europe and I expect it will make it here shortly. The most interesting feature of this scroll saw is that the scroll saw proper can be separated from the base for portable hand-held use. The clamping feature is a good idea as well.